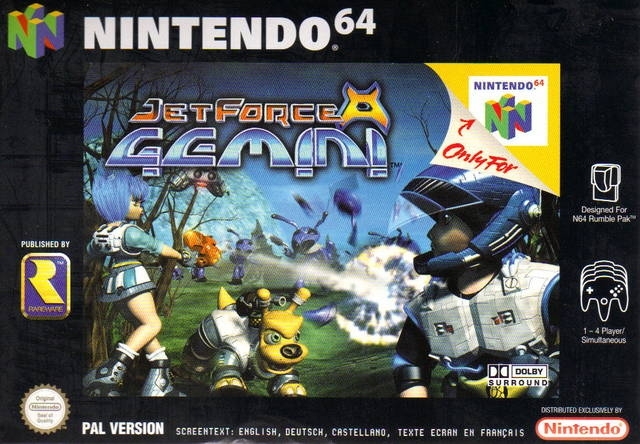 One of the more difficult gaming experiences to be had for Nintendo 64, Rare's Jet Force Gemini is a third-person 3D action-shooter set to the backdrop of an entire galaxy in a war engulfed future. 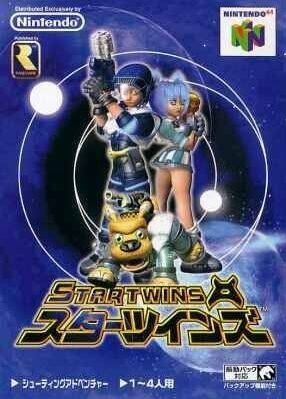 Players control Juno, Vela and Lupus the dog through tons of beautiful 3D environments plugging enemy after bloody enemy in order to save groups of kidnapped "Tribals" and retrieve spaceship parts. 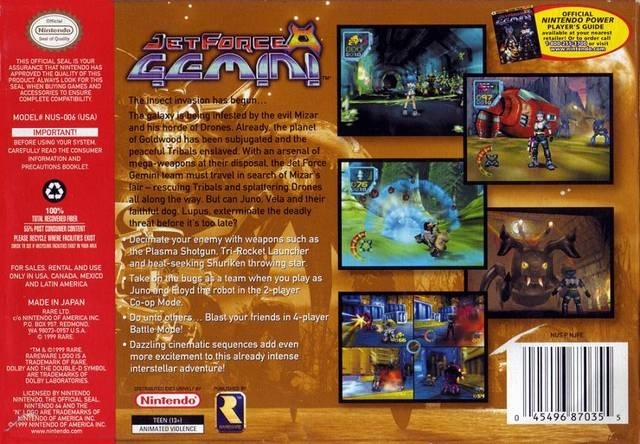 Jet Force Gemini also features a semi-cooperative mode for two-players (one player controls a targeting reticule), and various deathmatch battle options for up to four gamers. 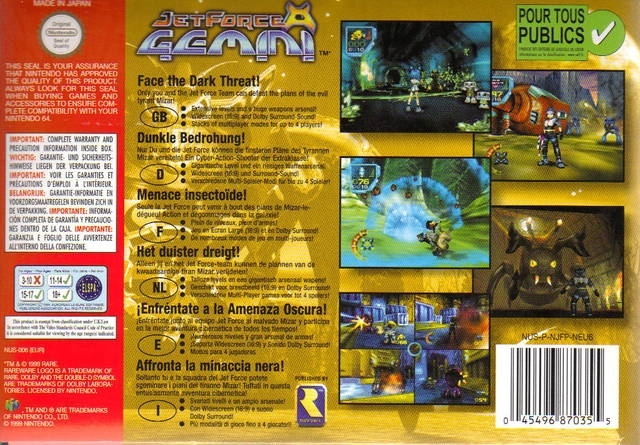 Developed and published by UK-based Rare. im playing it now on my N64 for the first time and im amazed. 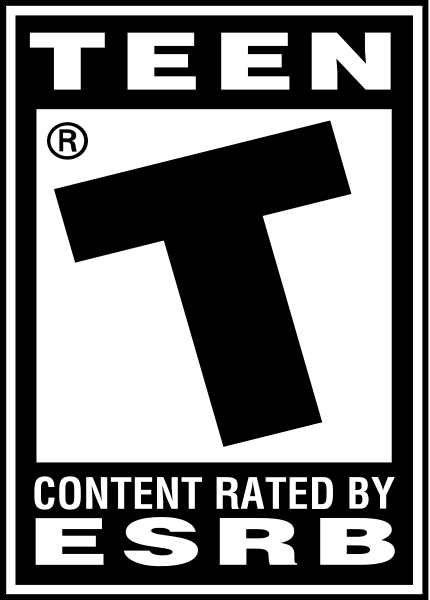 this game is a lot of fun and looks gorgeous, framerate suffers now and then but what did you expect with those grafix? How is there only one review for this game! Damn these were my screenshots when I did not know the rules as well. Well All the screenshots here are from gamespot I believe. SO I am going to add actual ones that can stay here. Not happy with these sales! I know right! Pokemon owners are making their own apps for that brand, just think of what Nintendo could possibly do. i love this game, and have spent over 200 hours on it. 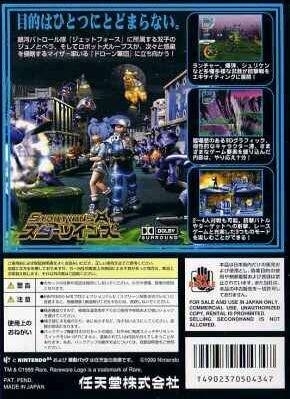 so let me get this straight... Nintendo has no rights to Rare's original games? How'd that happen! ?